Los Angeles. The entertainment capital of the world. The city that movie director John Waters called “rich, hilarious, of questionable taste and throbbing with fake glamour.” In Fallen Angels, award-winning journalist Marvin Wolf and noted criminal justice attorney Katherine Mader take you beyond the glitzy public facades, beyond the hype and dreams to the real streets and highways of this intriguing, often violent city. Exploring 39 exhaustively researched true crimes and mysteries, they reveal an altogether different side of L.A. than the one you might have seen on TV or in the movies. •Did Clarence Darrow bribe jurors? 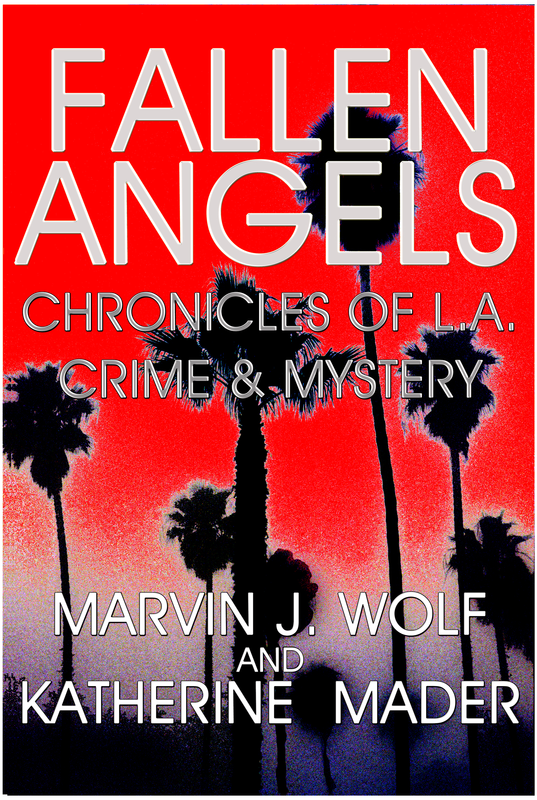 …and many other enthralling tales involving the mobsters, politicians, movie stars and private citizens of the City of Angels. For instance, no Hollywood screenwriter could have invented the hermit, Otto Sanhuber, who spent his nights hiding in his lover’s attic and his days in her unwitting husband’s bed—for 22 years—until he killed the husband. And for adventurous readers, the authors provide links to the various crime scenes detailed in each story, so that readers can visit the sites themselves. Fallen Angels—with its colorful cast of real-life characters, bizarre crimes and mysteries—is a must-read for every True Crime buff.